Eye / Eye Totalis supports oculur function. 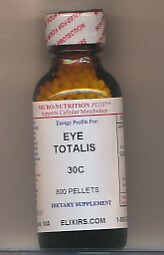 Eye 30C potency supports the eyes. Use for symptoms of dry or itchy eyes. Use Eye 30C for general eye health following eye surgery. 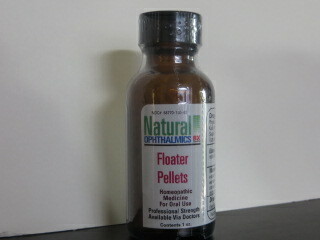 Floater Eye Support pellets support eye function and symptoms of floaters. Homeopathic natural remedies to stimulate the body's natural ability to alleviate floaters.